When it comes to urban development, a pedestrian crossing is one of the most complex aspects of designing a city. Annually, a huge number of incidents involving pedestrian crossing and cyclists occur all over the world. 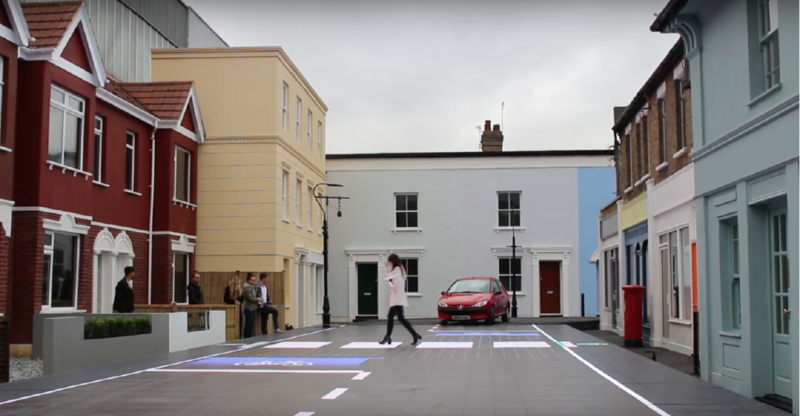 That’s why the London-based company Umbrellium, an urban technology firm, has developed an innovative solution for roadways: Starling Crossing, the world’s first smart crosswalk. This high-tech pedestrian crossing system will monitor and react to cars, people and cyclists to help decrease the likelihood of an accident. The Starling (Stigmergic Adaptive Responsive Learning) Crossing will transform regular paved streets into a network of responsive road surfaces that react in real time to different traffic and pedestrian conditions by modifying the patterns, layout, and configuration of pedestrian crossings. According to the company, the road surface at the crossing is embedded with LEDs that grab the attention of pedestrians that might be distracted by their smartphones, reinforcing pedestrian safety. After extensive research made by the Transport Research Laboratory of UK, Umbrellium was able to construct a temporary full-scale prototype made from LED-embedded plastic panels that are designed to support the weight of vehicles. The lights are easily visible day and night and are also slip-free even during very heavy rain. The prototype of the adaptive road system is located in South of London, where it demonstrates some of the possible scenarios where Starling Crossing would come into play. For example, if a pedestrian runs into the street unexpectedly, the lights will form a large buffer zone to make their trajectory clear to drivers and cyclists. According to the Umbrellium’s website, by using a neural network framework, cameras will be used to track the various objects moving in the area and send instructions to the lighting system. To learn more about the Starling Crossing, check out their website.